The recent Supreme Court ruling invalidating Section 4 of the Voting Rights Act of 1965 has 2dopesistahs thinking about the sacrifices of activists who participated in the Civil Rights Movement. For my current research project, I revisited (re-read) The Long Shadow of Little Rock by civil rights icon, Daisy Bates. 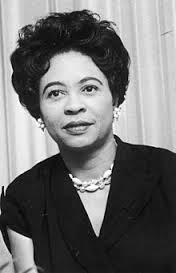 Daisy Bates became a national figure in 1957 when nine black students, known as the Little Rock Nine, were chosen to integrate previously all-white Central High School in Little Rock, Arkansas. As the president of the Arkansas State Conference of the National Association for the Advancement of Colored People, Bates had been actively pushing the school board to implement and stick to a plan of desegregation to comply with the decision in Brown v. Board of Education. In this memoir, Bates chronicles her experiences as she coordinated the activities of the students and documented the attacks on the students while in school. In a show of massive resistance, Arkansas governor Orval Faubus called out the National Guard on the first day of school to prevent the Little Rock Nine from attending classes. Eventually, the Nine were able to attend school after Pres. Dwight D. Eisenhower federalized the Arkansas National Guard and dispatched 1,000 Army paratroopers to protect the students, but not before an angry, anti-integration mob had threatened the students’ safety both individually (Elizabeth Eckford) and collectively. I had forgotten how compelling this book is, and I highly recommend it. It is an excellent read. And if you have an interest in books written by members of the Little Rock Nine, both Melba Patillo Beals and Carlotta Walls Lanier have written memoirs. As I sat down last week to write a post about why I chose to become a historian, I found it extremely difficult. There was so much to say, but I was unable to corral those ideas into a suitable post. Perhaps it was because I have been on the sidelines of the academic world for a while and feeling somewhat isolated. Or, maybe it was because many of the recent articles I’ve read about academia have been quite negative. 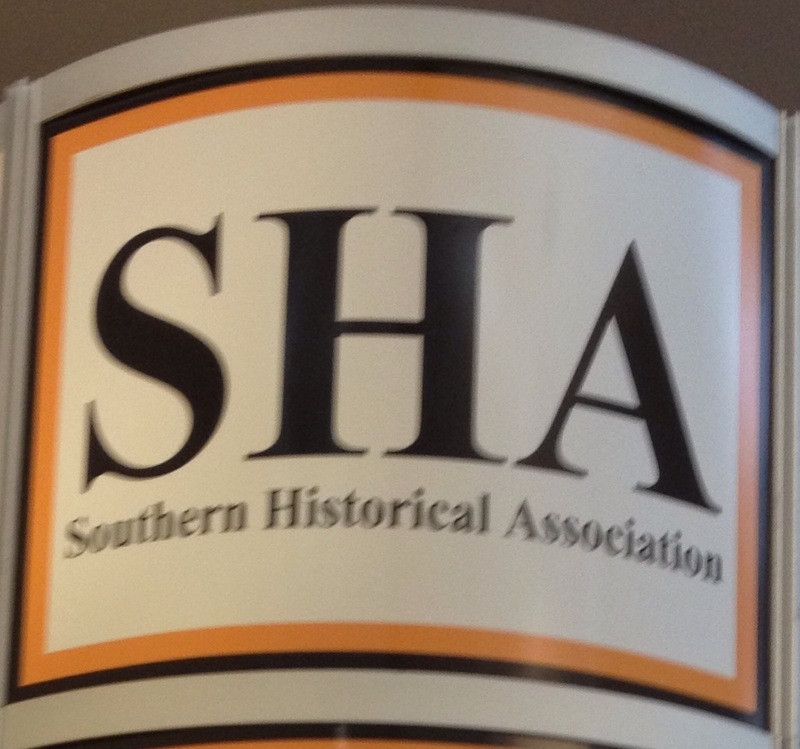 Over the weekend I attended the annual meeting of the Southern Historical Association (SHA), and it rejuvenated my passion for history. It’s ironic that I have never been to this conference. It was the first historical association that I joined when I was in graduate school since my research was and is focused on the South. It may sound silly, but in a way it was like “coming home” for me because there was such familiarity. The conference was held in St. Louis, and I lived in the St. Louis Metro area for four years. I attended the conference with one of my good friends that I’ve known since graduate school. I saw other friends, sorors, and colleagues that I’ve met over the years. I enjoyed the presentations, receptions, the networking, and browsing the new book titles in the exhibit hall, but seeing my former professor, Theda Perdue, had the greatest impact on me. Her historiography course on the Old South was one of the first courses I took during my master’s program. She is a lovely person, but she is tough. I was petrified but so relieved when she found my writing to be sound. I felt as if all of the other students knew more than me (although they probably didn’t). I had taken a Native American history course with Dr. Perdue’s husband, Michael Green, and I absolutely loved his passion. My excitement when I teach the Narrative of the Life of Frederick Douglass or The Souls of Black Folk reminds me of how he behaved when we discussed From the Deep Woods to Civilization in his class. You could tell he loved what he was doing and that he was in his element. I was saddened to find out that he had recently passed away. Dr. Green was one of the professors who encouraged me to apply to graduate school, and I was flattered that he held me in such high regard. I wanted to study history, in part, to tell the history of those who were unable to write it for themselves. I wanted to change students’ present and future by introducing them to the past. I’m glad this weekend I was able to attend the SHA and reconnect with the academic world. 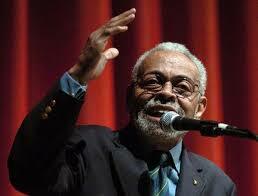 HBCUs & Intellectual Elitism: Hawk Pride, You Better Catch It!! I distinctly remember several conversations I had my twelfth grade year in high school, regarding my choice to attend the University of Maryland Eastern Shore, a Historically Black College/University. My math teacher, Ms. K, asked me why black people choose to segregate themselves by attending all black colleges, especially when predominately white colleges are giving all of the scholarship money to us anyway. God knows I wish, at 17, I had the vocabulary and experience with racist comments that I have now because maybe then I would have responded. But, I said nothing. It was that type of racist conversation that I was hoping to flee from by attending an all-black institution of higher learning. I have continued to have some strange experiences over the years engaging people in conversations about attending and graduating from an HBCU. Some of those people happened to be friends who I trusted with my feelings and thoughts, but they did not hesitate to articulate how they thought my degree was inferior to theirs, which was obtained from a traditionally white institution (TWIs). One in particular has offered her opposition to HBCUs every time an opportunity has presented itself, oftentimes at random moments when it was not even a topic of conversation. 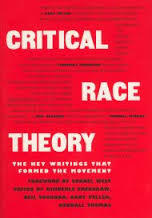 Racism, I believe, has succeeded when black people internalize racist definitions of “blackness” that deem us as intellectually inferior and incapable of producing institutions where black people graduate and become productive citizens of this country. 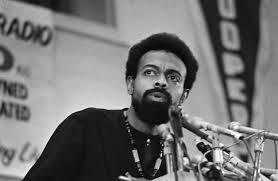 When someone cannot conceive of all-black institutions as being able to produce students who can compete academically with white students, then perhaps they do not consider any black student capable of competing with any white student. The truth about my experience: I attended one of the least funded institutions in the University of Maryland System. Despite the fact that we did not have some of the resources that the TWIs had in the same system, we had great teachers and an administration that was committed to our success. Furthermore, what I gained was a family who continues to support each other in ways that never ceases to amaze me. This blog alone is a testament to my experience, as the majority of my supporters are UMES Hawks. We have students who have gone on to graduate with Masters, and PhDs, and some of those degrees came from Ivy League institutions. The occupations of my fellow Hawks rival the graduates from any institution. Most of all, UMES educated many of the fabulous teachers throughout the Washington, DC and Baltimore metropolitan areas and beyond. This post is not about The University of Maryland Eastern Shore, but all of the HBCU graduates who face the elitist intellectualism of others who find the HBCU education inferior. You see, I never thought I was better than anyone because I attended an HBCU, but I am, indeed, a better me for having done so. Hawk Pride . . . Catch it! Note: The University of Maryland Eastern Shore, along with three other HBCUs in the state of Maryland (Morgan State University, Coppin State University, and Bowie State University) have made recent news when a Maryland Federal judge ruled that the state had not done enough to help the four institutions mentioned above overcome segregation-era policies, according to The Baltimore Sun. 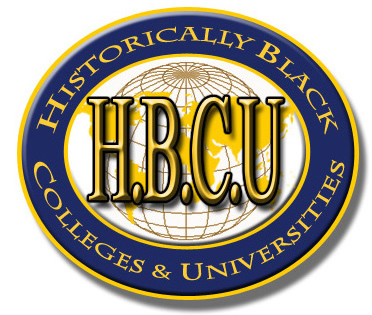 The lawsuit indicated that TWIs in the state unnecessarily duplicated the programs at HBCUs. 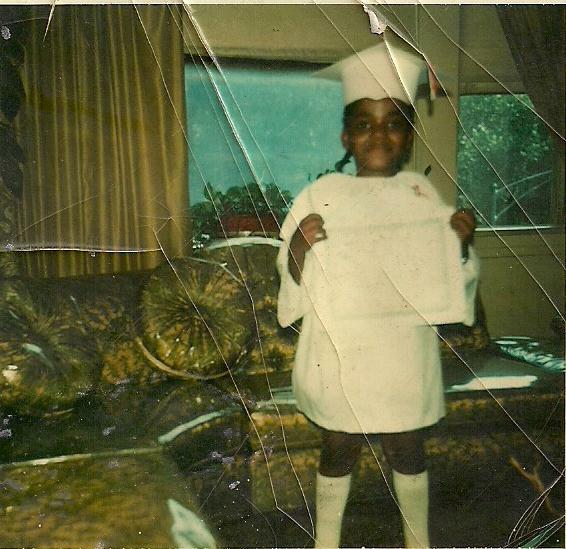 Standing in my grandmother’s living room in front of her perfectly-preserved, plastic-covered couch, I am wearing my cap and gown from my Head-Start graduation. children seem to be one of the first casualties of budget cuts. A few weeks ago I saw a news story that broke my heart. A Head Start program was having a lottery to see which children would be able to remain and which children would be sent home, no longer able to attend. Head Start is a federal pre-school program that serves children from low-income families, “enhancing their cognitive, social and emotional development.” Initiated by Pres. Lyndon Johnson as part of his “War on Poverty” in 1965, it has served more than 30 million children. The budget cuts (also known as the Sequester) affecting Head Start were set in place by the Budget Control Act of 2011, requiring a five percent reduction in the budget in 2013. In addition to holding lotteries for students, Head Start programs across the country have addressed their reduced funding by laying off teachers, curtailing the length of the school year, and completely eliminating some centers. Education is one of the things that I am extremely passionate about. Being a Head Start alumna, I began to think about Head Start and what it meant to me. 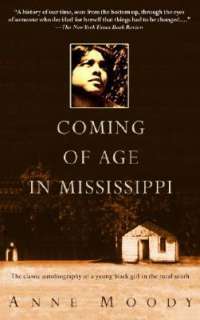 Compulsory education for children in my state, Mississippi, began at age six. But because of Head Start, I had the opportunity to go to school at age five. I can’t remember everything about that school year, but Head Start was important because it is where I learned to love school. I eagerly awaited the white passenger van that picked me up every morning. One morning I fell and cut my hand on a piece of broken glass before the bus came, and my only concern was whether I’d be able to attend school that day. I remember reading, math, art, recess, and singing songs like “The Itsy-Bitsy Spider.” I remember nap time, after which we had a snack of graham crackers and Hawaiian Punch. (I never went to sleep because I hated naps.) I learned how to get along with other children, which was really important for me because I spent a lot of time alone. I made friendships in Head Start that lasted through high school. Perhaps my most vivid memory is going to the dentist. 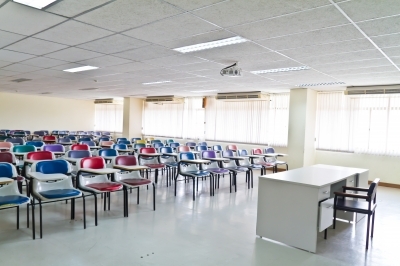 We all went–the whole class. I think it was my first time and probably some of the other kids’ first times too. I, unfortunately, had a mouth full of cavities. My love of candy had betrayed me, but it was a lesson learned: To avoid the dentist’s drill, I had to give up the candy and take better care of my teeth. While there are some studies that question the effectiveness of Head Start, I have no doubt that it was beneficial to me. My classmates and I were ready for first grade the next year. It is unfortunate that the Sequester is hurting some of our most vulnerable citizens. All children deserve the opportunity to learn. Because Congress failed to reach an agreement on funding the federal government by September 30, 2013, the United States is currently in the midst of a government shutdown. Almost immediately, we began to see its disproportionate impact on women and children. The Head Start Program had already been forced to cut $405 million from its budget (5 percent), which resulted in 57,000 pre-school aged children being removed. By the end of the first week of the shutdown, Head Start programs in six states (Alabama, Connecticut, Florida, Georgia, South Carolina, and Mississippi) were closed, which affected more than 7,000 children. Fortunately, a $10 million donation to the National Head Start Association from the Laura and John Arnold Foundation has provided emergency funding through the end of the October. If the shutdown persists, however, Head Start closures will impact an additional 86,000 low-income children.